A Star Wars and Game of Thrones mashup, Duterte offers cabinet positions to communists, and more. 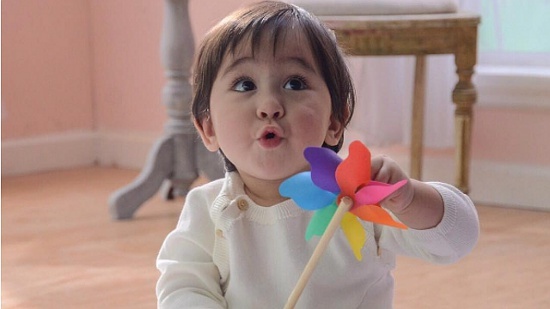 Vicky Belo and Hayden Kho surprised their social media followers on Monday, May 16, when they revealed they have a baby girl together, whom they named Scarlet Snow. Although the couple didn't reveal if their baby was delivered via surrogate or otherwise, she has already earned quite the number of followers on her own Instagram account. Captain America: Civil War officially holds the title of fifth-biggest opening in its domestic box-office, and it looks like it could still soar even higher. The film is nearing the U.S. $1 billion mark worldwide, having already reached over U.S. $940 million in ticket sales. This totals Marvel's Cinematic Universe's entire earnings to a whopping U.S. $10 billion. Here's definitive proof that lightsabers make everything better. If you've kept up with the latest season of Game of Thrones, then you probably already know about the epic swordplay at the Tower of Joy. The scene was made even more awesome with cool lightsabers and the exciting theme from Revenge of the Sith. Although an upcoming Gambit-centric film has already been announced with Channing Tatum slated to star, the film has reportedly had its own shares of setbacks. According to Comics Alliance, the project is still a "go" with Tatum, but they will reportedly create a new tone for the film that will "closely match the character." In fact, producer Simon Kinberg even namedropped Deadpool in an interview, saying, " I think one of the things that I’ve learnt on all these movies—and maybe the lesson was best learned for me on Deadpool—is the most important thing is getting the tone and the voice right. " The upcoming Pixar film Finding Dory is set to hit theaters soon, but marine biologists have warned that the film's popularity may lead to the species' decline in the wild. Apparently, sales of clownfish multiplied at pet stores when Finding Nemo was released. Unlike clownfish (which are relatively easy to breed in captivity), blue tangs (Dory's species) don’t survive well in aquarium tanks, and breeding them won't be easy. Blue tangs live among fragile coral reefs in the Indo-Pacific, which are easily damaged by fish collection techniques. In a press conference in Davao City this morning, presumptive president Rodrigo Duterte announced that he has allotted four departments to members of the Communist Party of the Philippines. These are the Departments of Agrarian Reform, Environment and Natural Resources, Labor and Employment, and Social Welfare and Development. "I offer my hand in peace to Sison and others, and we can talk. 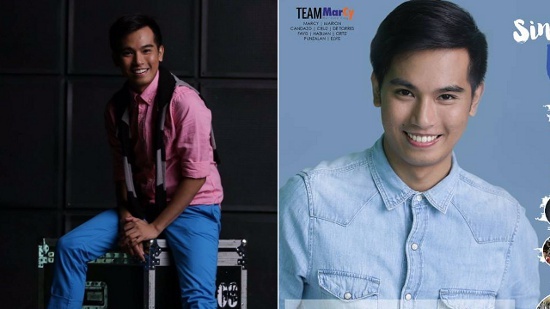 I have mentioned positions available to them," Duterte also said. "I will raise the level to the stature of a hero si Lapu-Lapu. He was the first native who fought and even killed the imperialists, si [Ferdinand] Magellan. 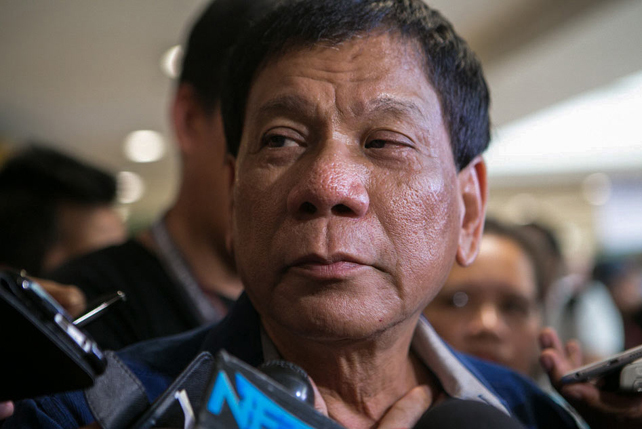 To honor his feat," Duterte told reporters on Monday morning, May 16. The datu is reportedly often ignored on lists of national heroes, which include Dr. Jose Rizal, Andres Bonifacio, Antonio Luna, and so on. Aside from giving Lapu-Lapu the highest honor, the presumptive president also wants to point out to the public that Islam had long been established in the Philippines even before the Spanish colonizers came. As they near the start of the official count, the Parish Pastoral Council for Responsible Voting is now waiting for the go signal of the Commission on Elections to terminate its partial count of the national election results. "We cannot go 100% because if [our count] doesn't tally with [the Commission on Elections] COMELEC or Congress, that would create a lot of confusion again," Parish Pastoral Council for Responsible Voting (PPCRV) chairperson Henrietta De Villa said. Since the automated elections started, they have never completed their counts, tallying only 93% in 2010 and 92% in 2013. Have you ever been in the mood to binge-watch a show in its entirety, from Season 1 all the way to the series finale? You don't need to wait for DVD releases anymore, because we found 10 completed shows that you can stream online. If you've ever been in the sticky predicament of being friends with your crush, then you likely know how this feels. Is he friendly or is he flirting? We list some sneaky clues.